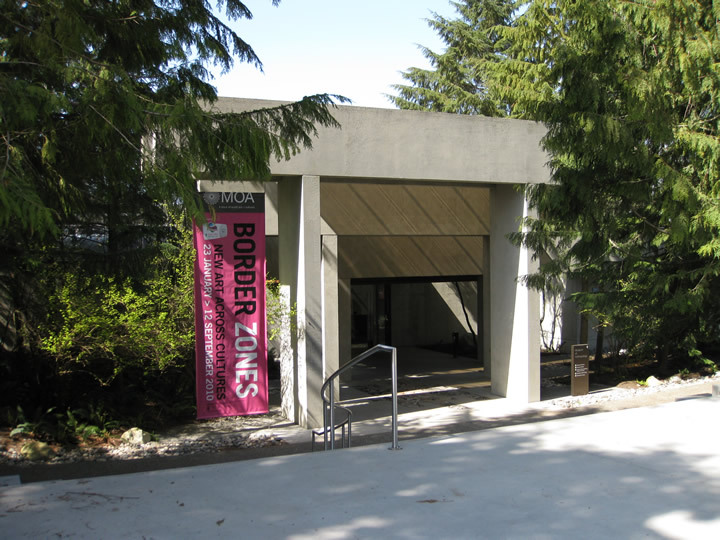 MOA is located at the northern tip of the UBC campus on Marine Drive. It takes about 10 minutes to walk to it from the main bus loop, but there is a community shuttle that passes by there. I walked there from somewhere further because I had classes before, but it was nice outside on that day. I’m not sure how many visitors the museum usually gets, but there wasn’t a lot of people when I got there. It’s probably because I visited on a non-holiday weekday. The entrance to the museum is a bit hidden and had me confused for a bit since most websites show a very nice photo of the museum, touting its architecture (designed by famous architect Arthur Erickson). It turns out that photo is actually the back of the museum, and unfortunately I wasn’t able to take a photo from the back because my camera ran out of batteries mid way through . As mentioned before, entrance is free for current UBC students, but I did have to spend a quarter to rent a locker to put my backpack away. Not too long ago there was a theft at MOA that received plenty of local news coverage, so they are not taking any chances. Photos are allowed though. 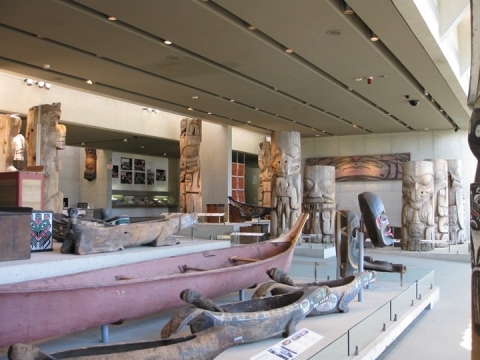 The first thing you see after entering the museum is a ramp that leads down to the Great Hall with a lot of canoes and totem poles. 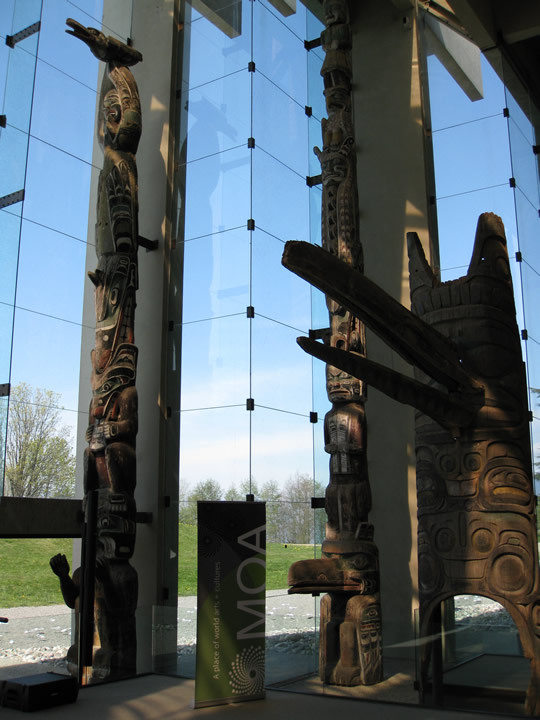 MOA is well known for its collection of First Nations artifacts so this is what visitors would come here to see. I can’t really comment on the items in display since I’m not really into anthropology or history, but I liked the Great Hall and its nice open air feel. 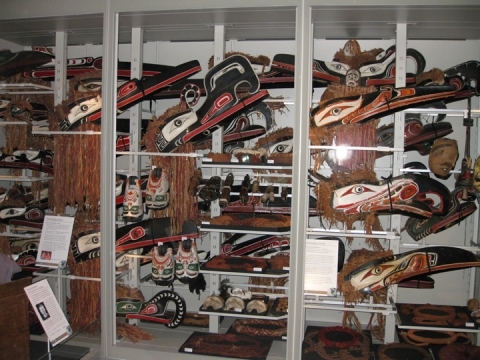 After taking photos at the Great Hall, I wandered into MOA’s Visible Storage section which contains a lot of items of First Nations origins and also of MOA’s global collection. 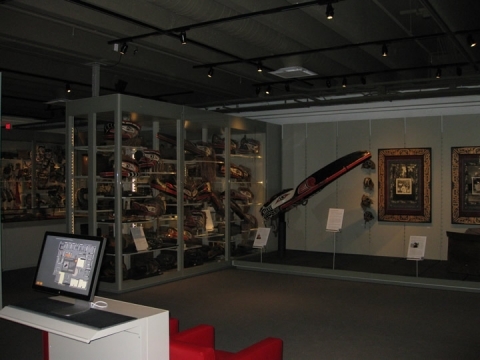 I liked this section of museum as well, and there are touch screen computers all over the place to help visitors navigate and find even find items. Unfortunately, while I was walking through the Visible Storage section, my camera ran out juice, so I don’t have any photos of the rest of museum. 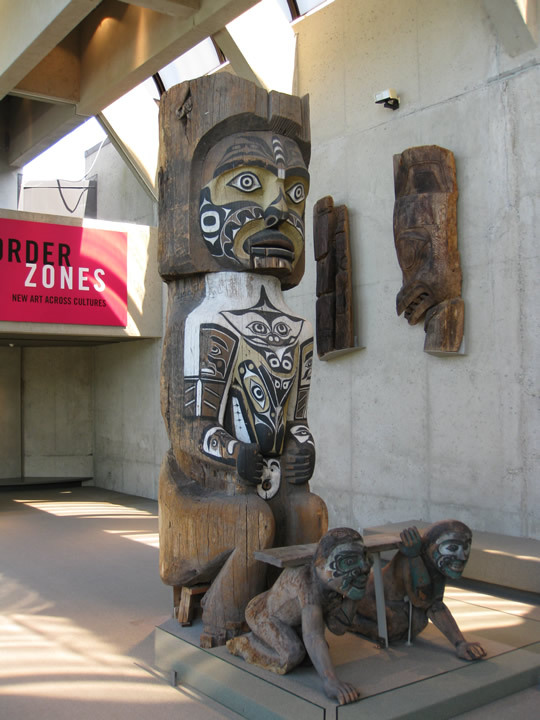 The rest of the museum consists of the Koerner Ceramics Gallery (collection of European ceramics), the Bill Reid Rotunda (with the famous sculpture, The Raven and the First Men), the current Border Zones exhibit, and the outdoor exhibits (including the backside of the museum). I wasn’t too impressed with the Border Zones exhibit, which had a lot of little plastic canoes hanging all over the place among other things. Contemporary art isn’t really my thing. The other parts of the museum are pretty good though, and I’m disappointed that I couldn’t take pictures of any of these exhibits. Maybe I’ll visit the place once more to take more photos. 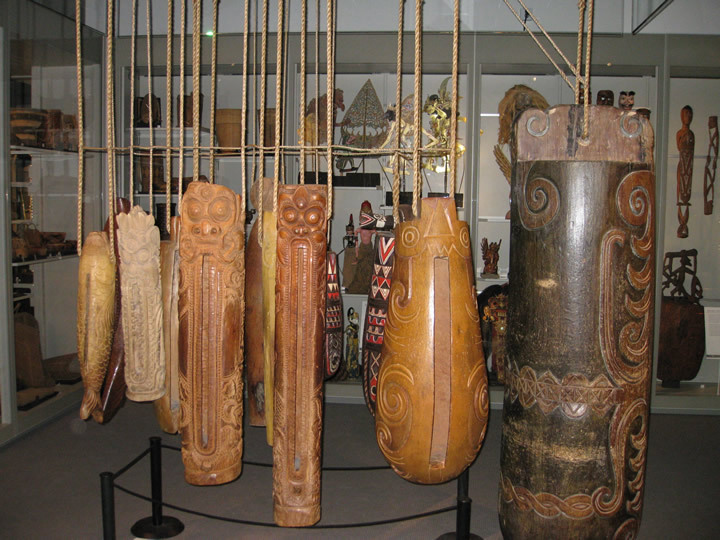 Overall, I thought the Museum of Anthropology was a decent place to visit. It’s not a big museum, but it is nicely appointed, and the long term exhibits are pretty decent. I definitely recommend visiting for UBC students and staff since it’s free. For the rest of the public, it depends on if you think that exhibits in the museum are worth the admission price. So now I can check off MOA from my list of UBC places to visit. I still have yet to visit the Nitobe Garden and Botanical Gardens. I’ll probably have to wait until after my final exams.